The current SAT, introduced in 2005, takes 3 hours and 45 minutes to finish, and as of 2014 costs US$52.50 (up to US$94.50 outside of the United States), excluding late fees. Possible scores on the SAT range from 600 to 2400, combining test results from three 800-point sections: Mathematics, Critical Reading, and Writing. Taking the SAT or its competitor, the ACT, is required for freshman entry to many, but not all, universities in the United States. On March 5, 2014, the College Board announced that a redesigned version of the SAT would be administered for the first time in 2016. The exam will revert to the 1600-point scale, the essay will be optional, and students will have 3 hours to take the exam plus 50 additional minutes to complete the essay. 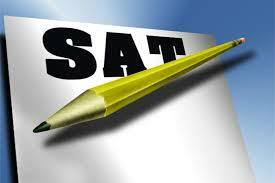 Taking the SAT test/exam is the first step in finding the right university for you as an aspiring undergraduate. You must bear in mind that SAT test/exam scores are just one of many factors that universities consider when making their admission decisions. High school grades are also very important. In fact, the combination of high school grades and SAT exam scores is the best predictor of your academic success in university. The general SAT test/exam which is usually referred to SAT 1 does not test logic or abstract reasoning. It tests the skills you are learning in school: reading, writing and mathematics. Your knowledge and skills in these subjects are important for success in university and throughout your life. The writing section includes a short essay and multiple-choice questions on identifying errors and improving grammar usage. Subject Tests usually referred to as SAT II are an hour-long, content-based tests that allow you to showcase achievement in specific subject areas where you excel. These are the only international admission tests where you choose the tests that best showcase your achievements and interests as a prospective undergraduate. SAT Subject Tests allow you to differentiate yourself in the University admission process or send a strong message regarding your readiness to study specific majors or programs in University. In conjunction with your other admission credentials (your high school record, SAT exam scores, teacher recommendations, etc. ), they provide a more complete picture of your academic background and interests. Some universities also use Subject Tests to place students into the appropriate courses. Based on your performance on the test(s), you could potentially fulfill basic requirements or receive credit for introductory-level courses. High scores in SAT test/exam may result in scholarship opportunities abroad. SAT 2 is the subject test which is required by some specific schools, subjects includes major secondary school subjects. SAT 1 and SAT 2 are arranged and administered in Nigeria about six(6) - seven(7) times a year. 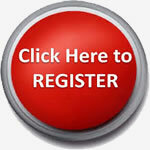 SAT test/exam registration in Nigeria is usually done about 8-10 weeks before the intended exam date. Test takers in Nigeria will need a valid international passport as an identifying document on the day of the exam. The cost of SAT I registration with study pack is N40,000 while without the pack is N28,000. The cost of SAT II with study pack is N43,000 while without the pack is N38,000. To register for this exam, kindly fill our form.